My last post was about TodaysMeet, a great backchannel tool for eliciting student responses and engaging kids in discussion. Well, I couldn’t stop myself from immediately writing about another of my FAVORITE backchannel tools – PADLET! Teachers, if you haven’t seen this in action, you’re about to get real, real excited! In Padlet, you set up a virtual ‘wall’ and kids can add virtual ‘sticky notes’ to it. Your question or topic appears at the top, and students do all the reflecting & ruminating & stuff! Oooooh, but there’s fancy, decorat-y, bling-bling-ness to be found at Padlet! First of all, you can choose a little avatar icon for yourself. I use the smiley face a lot. You can choose your wallpaper background, and let’s face it…that’s just plain fun! You can have the students’ posts appear anywhere they double-click on the screen, or for you type-A folks, you can have it stream down the page or present as a grid in a neat & orderly fashion! But get this…are you sitting down? In Padlet, the students’ posts also have the ability to add links to websites, upload a file or image from their computer, or even take a web-cam shot of themselves to add to the post! These make for some really pretty walls that can be veritable FONTS of information! Students love using these features to go above & beyond to find even MORE information than you were asking for to add to your post or question! We teachers LOVE above & beyond! EXPORTING: share to Facebook, Twitter, Pinterest and other social media sites, embed in a blog or webpage, share as an email, print it out, create a PDF of it, even create a QR code to it right from the Padlet site! PRIVACY: You can restrict viewers, writers, and levels of permission in a lot of ways. You can opt to moderate posts before they go up on the wall…great option for teachers to turn on if the wall will be open AFTER school hours! Educationally, there are probably INFINITY uses for Padlet! I’m sharing two of mine as part of this post. For the first, I asked all of my elementary computer students (grades 2-5) what they’d like to learn in my class this year. I set this up in a grid-type fashion to maximize space and make viewing easier. After I created the wall, I just had a quick hyperlink to it on my teacher webpage so that the kids could just click & start posting! My second example was shown during a class video about Jamestown. We were starting a Social Studies unit on the Jamestown settlement, and I wanted students to share their thoughts during the video. Before I started the video, students all had netbooks on their desks and a link to the Padlet wall. However, after the video, we kept contributing to this wall for several weeks as students gathered information for group projects they were doing. They used it as a board to share resources with each other and even comment on each others’ findings. We had some pretty lively discussions about the enriching things they were finding…again, it was that ‘above & beyond’ thing! Click on the links below to check out those Padlet walls! Padlet: What do you want to learn in computer class this year? Formative Assessment – I’m lucky enough to teach in a lab, so all kids are already on computers. I use Padlet as a “ticket out the door” or “exit ticket” to assess learning and feedback on the day’s objective. Got a student who is moving? Make a Padlet about him/her and let students post comments! A great take-away gift! You get the ideas…SOOOO many uses, and SOOOO much fun! 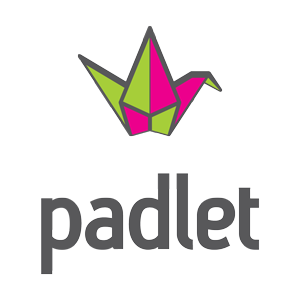 Padlet is a tool you will want to use frequently and share with all of your teacher friends. As a matter of fact, why not share this post with them right now? « TodaysMeet: Safe & Controlled Chat Room Sessions With Your Students!